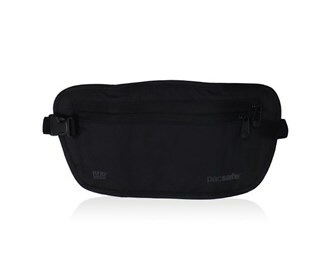 The Pacsafe RFIDsafe 100 is a discreet, soft and lightweight travel waist wallet designed to be worn under clothing. This keeps your passport, credit cards and bank cards within easy reach ensuring identity thieves can't access and download all your personal information. Many modern passports and credit cards contain RFID chips containing sensitive personal information. To protect you from unwanted people getting access to this data, Pacsafe's RFID blocking accessories are designed with state of the art material which blocks out transmissions and stops personal information from being accessed by identity thieves. It also has comfortable breathable backing with anti-odour treatment. 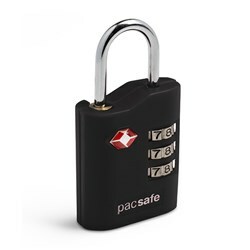 The Pacsafe RFIDsafe 100-Black has many exciting features for users of all types. FactoryOutletStore stocks a full line of accessories like 4 Dial Retractable Cable Lock and Combination Lock for the Pacsafe RFIDsafe 100-Black. 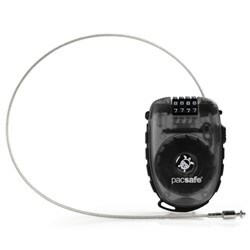 The Pacsafe RFIDsafe 100-Black is sold as a Brand New Unopened Item.